In our retail store we often carry unique collectible items, that sometimes have a very thin connection to Toy Soldiers. Why because we like them, are beautifully made and often can make a unique gift. But the biggest reason is that we think they are splendid. 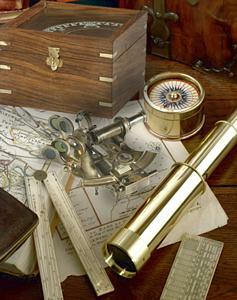 The compass opened the world to exploration and discovery. Invented in China thousands of years ago, it was primarily used by feng-shui priests, hired to advise on how and where to build. Today the compass still is a basic tool, a magnetized needle rotating on a vertical pin, pointing at the Earth’s magnetic North. 16th century sailors accustomed to following coastlines, could suddenly cross oceans.